"What the barriers proposed in this bill do is nearly guarantee that people will miss election after election …because they cannot afford to pay financial obligations," said Julie Ebenstein, a voting rights attorney at the American Civil Liberties Union. "It's an affront to the Florida voters." In November, 65 percent of Floridians voted to approve an amendment to the state's constitution, Amendment 4, that restored voting rights to certain former felons "after they complete all terms of their sentence including parole or probation." Those who were convicted of "murder or sexual offenses" were not eligible for rights restoration. "Keeping voters who can't afford to pay their fees immediately, keeping them disenfranchised for additional years, decades, or for the rest of their life, is not what was contemplated by voters who passed this amendment," she said. "I've never see anything like that in my time practicing voting rights," she said. The measure also qualifies a slew of felonies with any kind of sexual component as a disqualifying "sexual offense." That includes crimes like having an adult entertainment store too close to a school as well as certain prostitution crimes. "What they've done is picked the broadest definition possible to exclude the maximum number of people from having their rights restored," Ebenstein told NBC News. 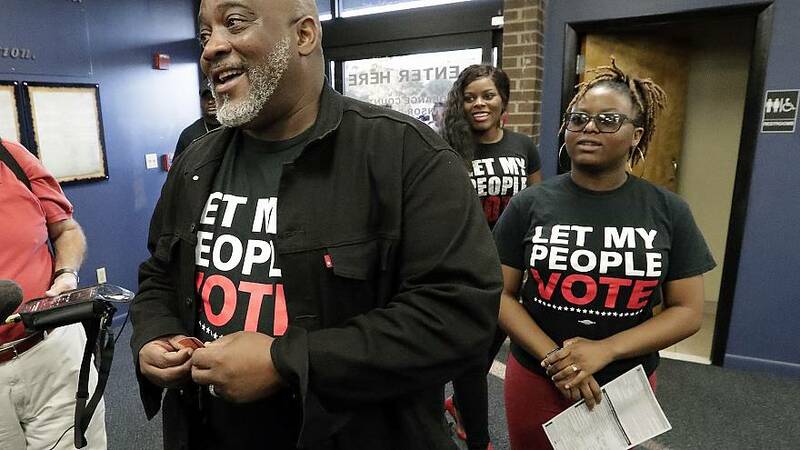 Desmond Meade, a former felon himself who lead the initiative to get Amendment 4 on the ballotand approved in November, said he and his group, Florida Rights Restoration Coalition, oppose the measure because it puts up barriers to former felons seeking to vote. "We are hopeful that improvements can be made to this bill that secure bipartisan support before it moves to the next committee," Meade said in a statement. "After all, Amendment 4 passed with broad support from people all over the state and from all walks of life. Any legislation proposed should neither limit the rights created by Amendment 4 nor infringe upon the will of Florida voters." Amendment 4 aimed to end Florida's arduous clemency process, in which voting rights could be restored at the discretion of the Florida governor. Applicants had to wait five to seven years depending on their crime before applying, and hearing back from the board took additionaltime. Many ex-offenders then had to appear in person to personally plead their case to the governor and the other members ofExecutive Clemency Board in person.